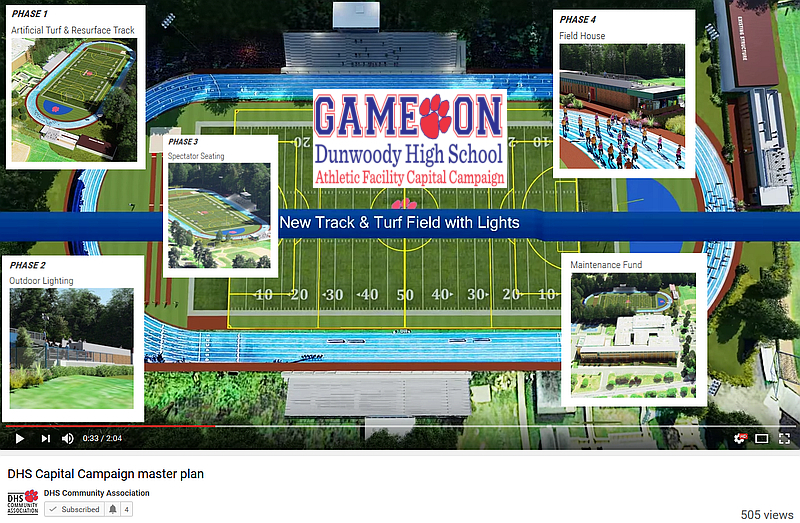 Dunwoody High School Community Association kicks off Two Million fundraising goal to upgrade athletic facilities. Dunwoody High School’s academic and athletic programs have enjoyed a rich tradition of success over the years by providing student-athletes with the tools necessary to succeed on and off the field. 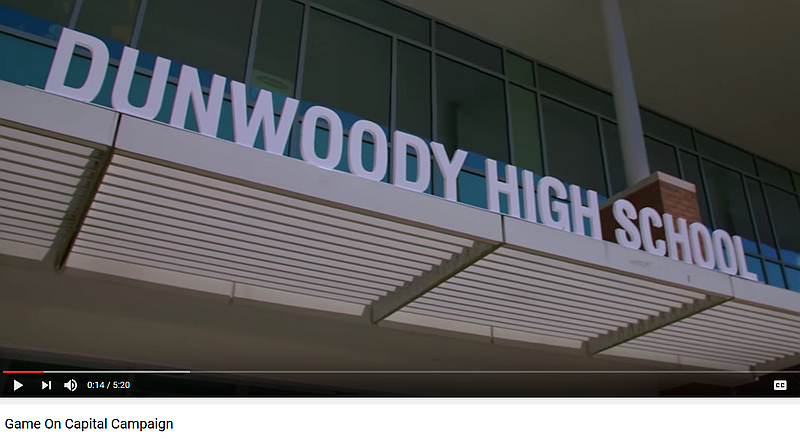 The Dunwoody High School building, erected in 1972, was only partially renovated in 2011. However, no significant renovations have been made to our athletic facilities. With each passing year, we watch many schools in metro Atlanta modernize and upgrade their athletic facilities, while ours continue to remain in dire need of improvement. In partnership with Dunwoody High School, the DHS Community Association hired fundraising counsel, Sinclair, Townes & Company, to conduct a feasibility study regarding our athletic facilities. The results indicated we should move forward in our goal to raise $2 million to create an athletic complex to meet the needs and expectations of this generation of students. With our school and community in mind, we invite you to join us in our campaign to build a state-of-the-art athletic complex on the Dunwoody High School campus. This upgrade will benefit the community and provide excellence in education in and out of the classroom for our present and future students. We want to grow The Wildcat Way … with Wildcat PRIDE in our school, our students, and our community. 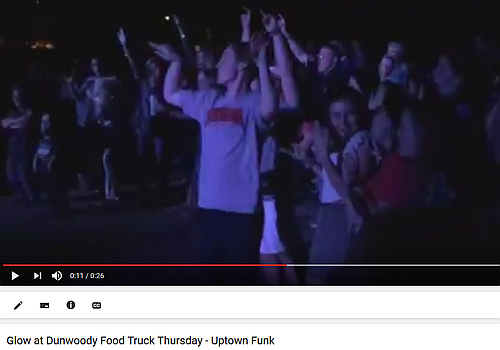 GLOW rocked the house at the Final Dunwoody Food Truck of the season. Volunteers from around the community are asked to come out and help plant trees around the park. Planting trees helps to beautify our community and also provide shade and offers important environmental benefits. 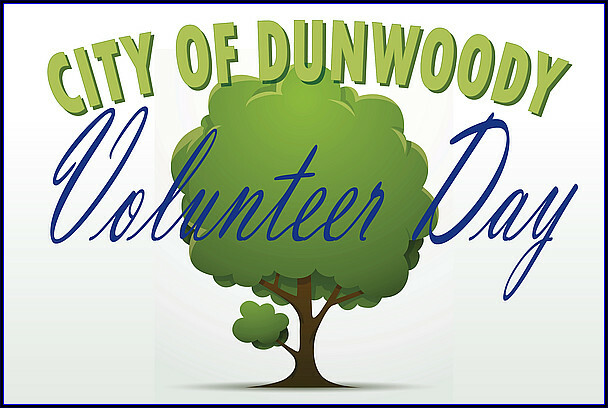 We will be planting trees in Dunwoody at Pernoshal Park. We would love your help! If you're interested please sign up by following the 'To volunteer' link below. We hope to see you out there! Dunwoody Nature Center hosts VillageFest on Saturday featuring 20 local bands. 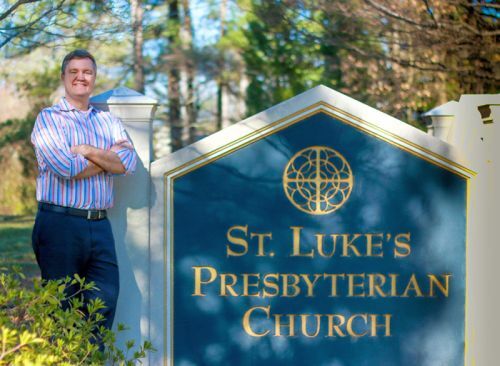 Thank you to Saint Luke's Presbyterian Church for allowing Dunwoody High Students to park during the day. Today's edition of the Dunwoody High School electronic newsletter had a warning to students about parking where they shouldn't but there was also a single line that stated that in two weeks students will be able to utilize Saint Luke's parking as an overflow lot. This generous offer allows all students to drive to the school as needed and then walk the five minutes to the high school. If utilized, it will alleviate both the students hunt for legal parking places as well as give them the opportunity to not park in areas that might restrict traffic flow around the area. Parents, I am guessing the formal announcement of the parking offer will be flushed out in the next week or so and I would like you to encourage your young driver to take advantage of this opportunity if they do not have an official Dunwoody High parking permit. 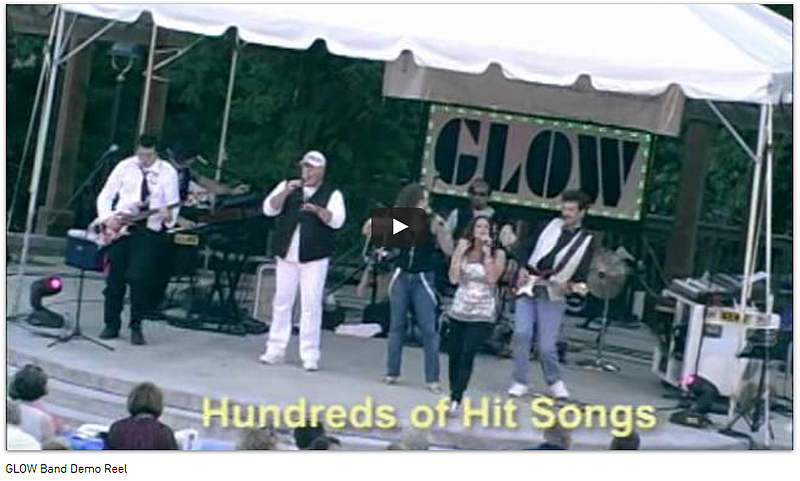 Dunwoody get ready for "GLOW the Show Band" at Brook Run Park for last Food Truck of the season. 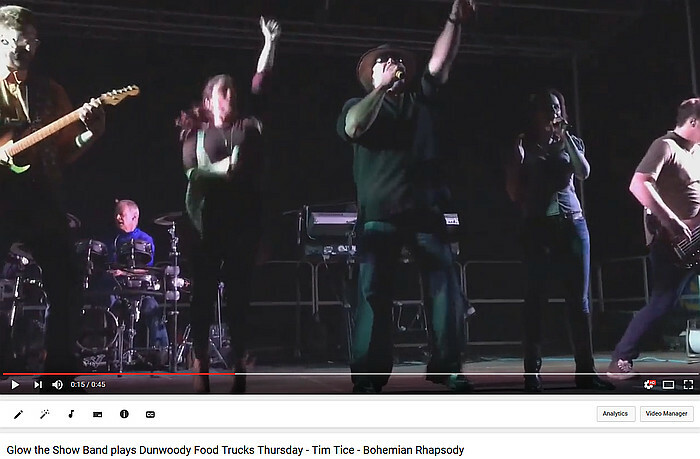 Neighbors please clear your calendar for the final Food Truck Thursday where the City of Dunwoody sponsors Truck or Treat, Costume Contest and presents the seven piece musical experience of GLOW. 5 pm but get there early. 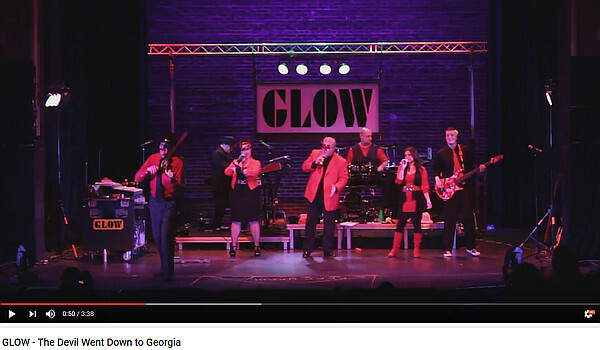 GLOW the Show Band is a high-performance wedding/dance/show band specializing in exceptional vocals, brilliant harmony and excellent dance music. Based out of Dunwoody, GA, the group has a long list of extremely satisfied clients locally and throughout the Southeast. A feature band on The Knot, GLOW was awarded "Best of Wedding" by Knot Magazine. Our well trained musicians hold awards and accolades that could fill two pages. The North Peachtree Corridor between Davantry Road and Mount Vernon Road has qualified for Traffic Calming improvements per the city's Traffic Calming Policy. The city received an initial petition with signatures from 20% of the affected residents and conducted a speed study, which showed that the 85th percentile for speed is 36 mph along one segment measured. The city has since selected a consulting firm to facilitate a neighborhood meeting and produce a comprehensive design for the project. A neighborhood meeting was held on June 7th for affected residents. The participants were presented with the available traffic calming tools that may be implemented and were able to provide their feedback to city staff and its consultant. A final design recommendation was developed and distributed to the community in July. 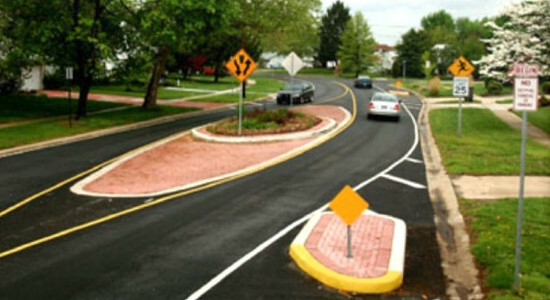 In October, the neighborhood submitted a petition to the city showing that 73% of the affected households were in favor of the proposed traffic calming measures, above the 65% required. As a result, a Resolution to create a Traffic Calming District will be presented to the City Council on November 14, 2016, for their approval. If approved, construction for this project is anticipated to begin in the Spring of 2017. For more information on the city's Traffic Calming Policy or to find out how to start the process in your neighborhood, a link to the policy may be found under the "Documents" below. The MOMS Club is an international organization that supports mothers who stay at home. The Dunwoody chapter's activities include monthly club socials, park outings, and Moms' Night Out, as well as weekly same-age playgroups. As a member of our club, your children will benefit from the play opportunities with other kids their age while you are able to socialize with, develop lasting bonds with, and receive support from other stay at home moms in the Dunwoody area. Please email DunwoodyMOMSClub@gmail.com with any questions about the Membership Drive or the club in general. 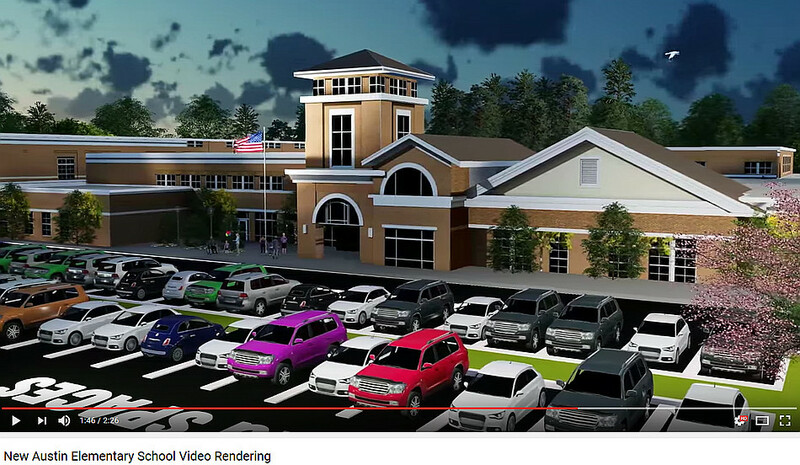 Video rendering of new Austin Elementary School in Dunwoody. Caffeine and Octane "Dunwoody Day". Resolution Adopting the 2017 Annual Operating and Capital Budgets. Approval of Amendment of City Position Allocation and Compensation Chart. Resolution Authorizing a Merit Increase for the City Clerk, Ms. Sharon Lowery. Resolution Second Amendment to the City Manager, Eric Linton's Employment Contract. SECOND READ: Ordinance Authorizing the Granting of an Easement to Atlanta Office Investment for a Crane Swing Easement. SECOND READ: Ordinance Authorizing the Granting of a Temporary Easement to AtlantaOffice Investment, LLC for Underground Construction. Award of a Construction Contract for a New Traffic Signal on Meadow Lane Road - Walmart. Funding Authorization for Redfield Pedestrian Improvements. Convention and Visitors Bureau of Dunwoody Proposed 2017 Budget. FIRST READ: Ordinance to Amend Purchasing Policy. Full details - perfect for little kids. The Dunwoody High School volleyball team defeated Effingham County (3-0) on Thursday night to advance to the state’s Elite Eight of the AAAAAA (6A) Georgia state volleyball tournament. Dunwoody’s next game is Saturday (10/22) at NOON at Dunwoody High School against region rival Cambridge. Come support Dunwoody Volleyball as they fight to make the Final Four on their road to the ring. We want to fill the gym! Wear PINK. 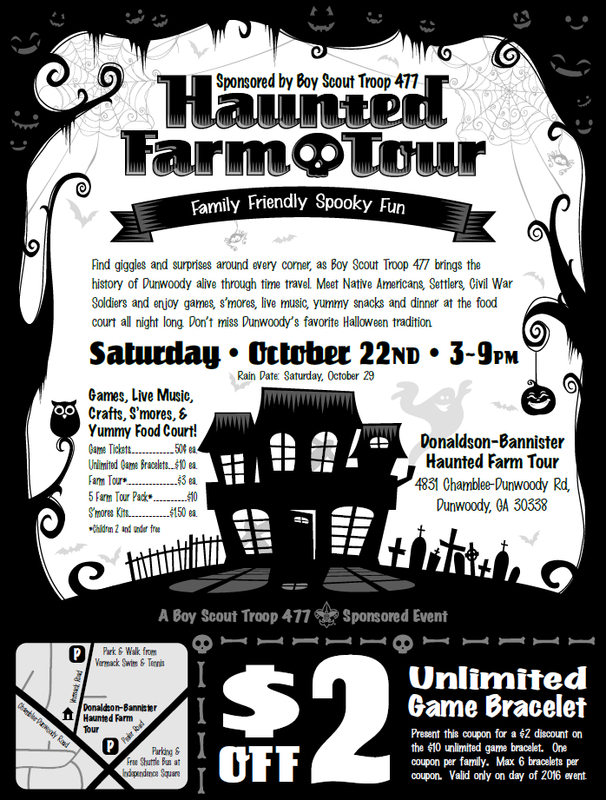 Boy Scout Troop 477 Haunted Farm Tour - Saturday from 3 to 9 - perfect for the little kids. Find giggles and surprises around every corner as Boy Scout Troop 477 takes you on a guided tour back in time, bringing the history of Dunwoody to life through guided time travel at the Haunted Farm Tour, Saturday, October 22 from 3:00pm to 9:00pm at the Donaldson-Bannister Farm (corner of Chamblee-Dunwoody and Vermack Roads). You’ll meet Native Americans, Civil War soldiers, settlers and some of Dunwoody's original residents. You can also play games, make crafts and s'mores, hear live music, eat yummy snacks and dinner all afternoon and evening. 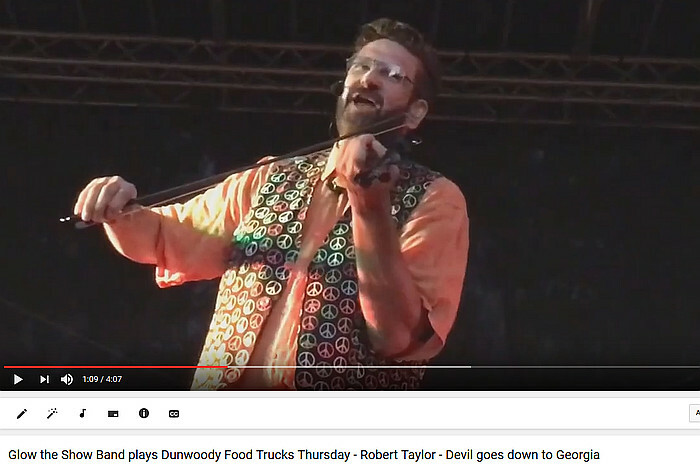 Don't miss Dunwoody's favorite Halloween tradition. 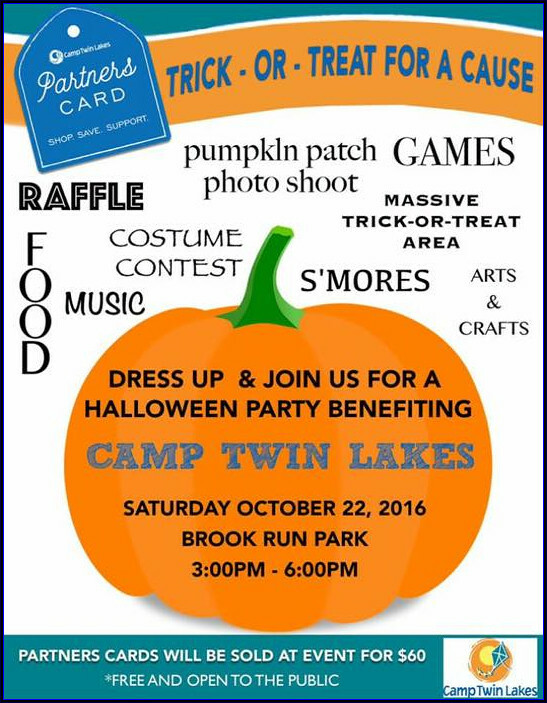 Hosted by Boy Scout Troop 477, this fun annual event is a fundraiser to help send boys to summer camp, and provide scholarships for boys that can’t afford to participate in scouting. If a walk back in time isn’t enough, a large field will feature more than 20 games and crafts, along with face painting, pumpkin decorating and “make your own” air rockets. There will also be a campfire for roasting the perfect s’more on a chilly October evening. An expanded food court, part of the farm’s recent renovation, will feature everything needed to feed hungry ghouls, including burgers, turkey legs, chicken sandwiches, hot dogs, and fresh baked cookies. Intergovernmental Agreement - details of the proposal. Public Information Meeting - The City of Dunwoody will hold a Public Information Meeting on October 17, 2016, at 6:00 pm to provide residents and community members with an opportunity to learn more about discussions between Dunwoody and DeKalb County Board of Education on the purchase, sale and real estate exchange agreement. PS: In the 2017 City of Dunwoody budget, there are 3.5 Million dollars (over and above the amount for the land swap deal) slated for Park Improvements and as those funds were the proceeds of a lawsuit over a DeKalb County parks bond that promised funds for Brook Run Park, the City Council should be directing those funds back to Brook Run. Based on what I know, the back 30 acres of Brook Run could receive a large chunk of those funds to construct flat, rectangular fields where soccer & lacrosse will be played. Just maybe if that idea pans out in the public process, there will be a lot of recreational fields built in the coming year. See page 39 of the document linked below. Are you Ready to Run Dunwoody? Running season is in full swing! 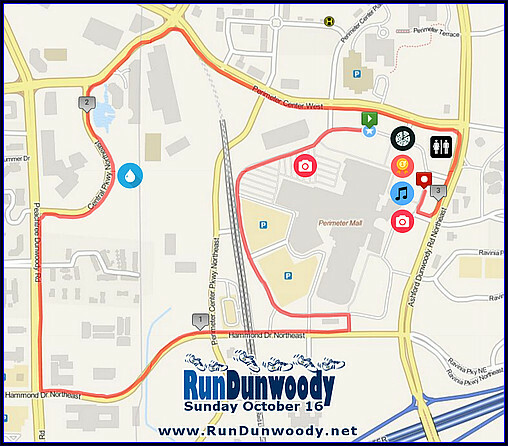 Don't forget to add RunDunwoody to your race calendar! Whether you're a seasoned runner, just starting out, or enjoy a brisk morning walk - RunDunwoody has something to offer for everybody! Certified as a Peachtree Road Race qualifier, the Rundunwoody 5K begins and ends at the Perimeter Mall. The flat, fast course is designed for runners. The race features free parking, free race photos, and a post race celebration with awards, a DJ, Tastes of Dunwoody and a Kids Zone. Technical shirts are included for all participants who sign-up before October 4. Race proceeds support education, public health and public safety. Proclamation for Family Promise Week. Recognition of Robert Vincent for Life Saving Measures. Presentation of Certificate of Recognition. Update on DeKalb Sewer System. Resolution to Amend the 2016 Operating and Capital Budgets. Approval of Disposition of Excess Property - I think I found my car? Resolution to Enter into an Intergovernmental Agreement with DeKalb County Fire and Rescue Services. Resolution to Enter into an Intergovernmental Agreement with DeKalb County for Solid Waste Management Services. FIRST READ: Ordinance Authorizing the Granting of an Easement to Atlanta Office Investment for a Crane Swing Easement. SECOND READ: SLUP 16-092: Transwestern, applicant of a portion of 1134 Hammond Road and 4400 Ashford Dunwoody Drive, Dunwoody, GA 30346, by Jessica Hill, attorney for the applicant, seeks Special Land Use Permit from Chapter 27, Section 27-73(b)(1) to increase the building height in a C-1 (Commercial) District from 2 stories/35 feet to 20 stories/300 feet. The tax parcel numbers are 18 348 01 020 and 18 348 01 006. 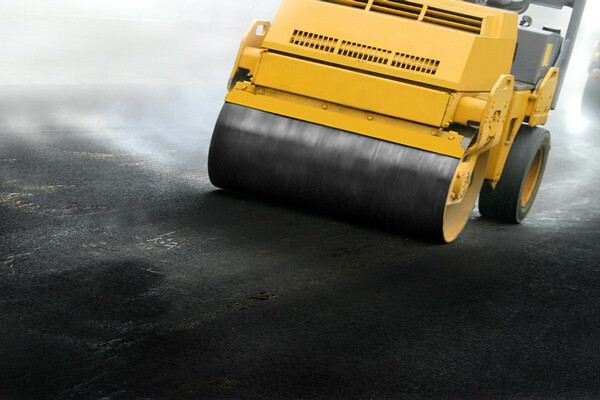 Dunwoody moving forward with Supplemental Paving List of 15 additional streets. On September 12th the Dunwoody City Council approved additional Paving Funds for 2016 in order complete the supplemental street paving list. On the date of the meeting, our City Public Works Director was unsure of the availability of the contracted crews to complete the job but today after being notified by residents that a street on the list was being worked; I reached out and he informed me that he is hopeful that the complete list of streets below will be paved in the next several months. The following five streets were also under consideration for repaving but I am told there is a chance that DeKalb County will replace the water main under Valley View next year therefore we need to wait and coordinate with them. The roads in Redfield are unable to be completed by the contractor this year therefore they will be added to the 2017 list and will hopefully be repaved in the Spring. In other paving news Chamblee Dunwoody south of Womack is moving slow because water pipes are still being worked but the crews are making progress and we are hopeful that they will be done soon. Dunwoody City Council to review Perimeter Center Zoning changes. During the 2012-2013 Zoning and Land Development Code Rewrite process, City Council determined that the unique characteristics and needs of the Perimeter Center area required additional study through an independent process. The current study was initiated to review the area and establish PCID appropriate zoning districts that would ensure continued high quality development as the area transitions from a suburban commercial district into a more contemporary, urban center. As a function of this study, the city is considering development tools in the form of new zoning districts and an overlay district that will provide the proper regulations and incentives for future redevelopment. The draft documents propose the most intensive development in the PC-1 district located at the core of the PCID area, with less intensive development spreading through the PC-2, 3, and 4 districts. The proposed changes consider the most likely and appropriate areas for development and address protecting surrounding single family residential neighborhoods. This work session, the third presentation of the study to the City Council, is to determine if the proposed development policies and scenarios in the draft documents are consistent with Council’s vision for the area. In an effort to bring closure to the study which was initiated in late 2014, by the end of this year, staff has advertised the zoning changes for consideration by the Planning Commission on October 20th. Saturday, October 8. 10 a.m. - 4 p.m. Mercer University Atlanta Campus. 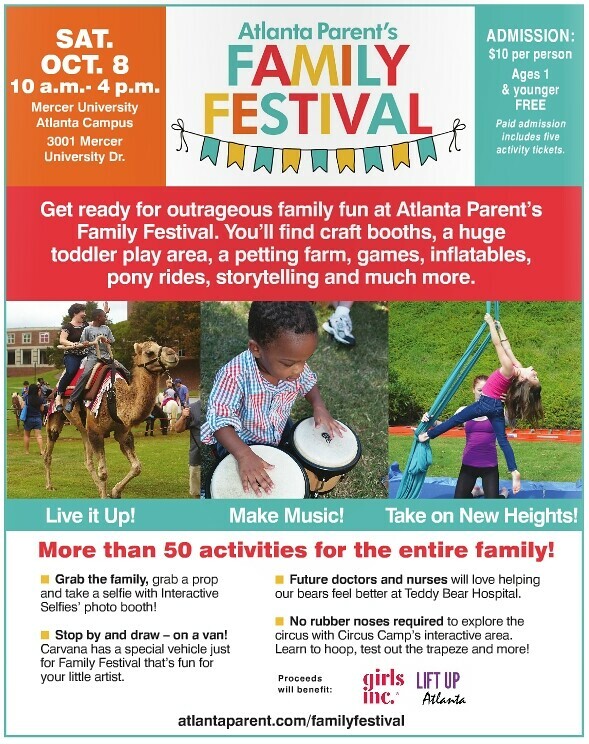 Join us for Atlanta Parent's 13th annual Family Festival! Featuring more than 50 exciting family-friendly activities, performers and storytelling, food and interactive exhibits. Craft booths, huge toddler play area, mobile petting farm, inflatable play ground, camel and pony rides, live music and continuous storytelling are just some fun activities Atlanta Parent Family Festival has to offer festival goers. No matter if the kids are big or small, the entire family will love this special fall day of fun. 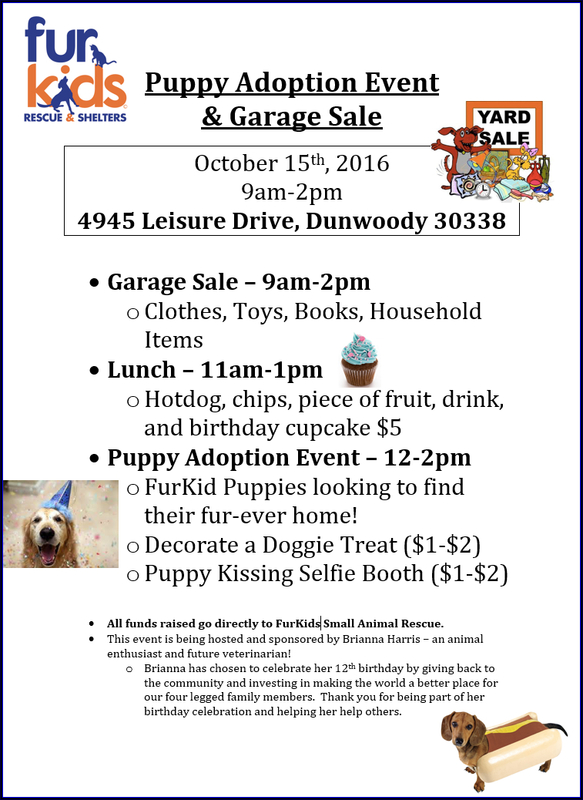 Dunwoody, GA October 5, 2016 – The City of Dunwoody and DeKalb County Board of Education (BOE) have agreed in principle on an Intergovernmental Agreement (IGA) for the purchase, sale, and exchange of real estate as well as improvements and maintenance of recreational fields and facilities. 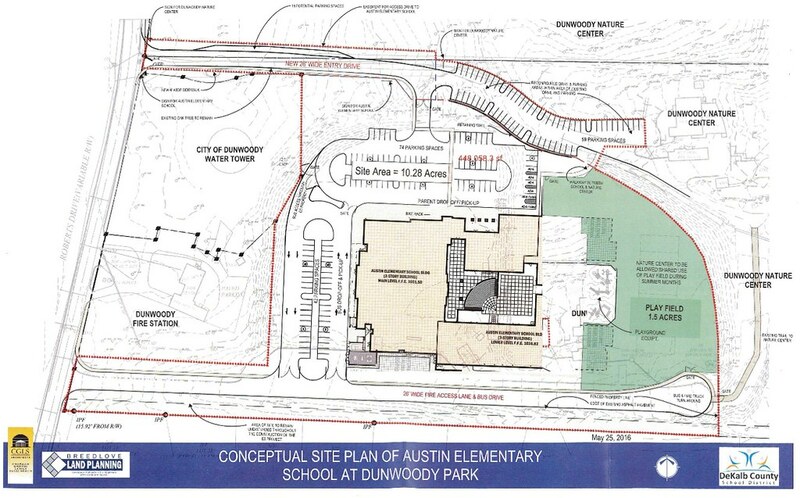 The agreement provides the DeKalb County School District (DCSD) with approximately 10 acres of property for the purpose of building a new Austin Elementary School adjacent to the school’s existing location and delivers future park space and shared access to sports facilities to the City of Dunwoody. 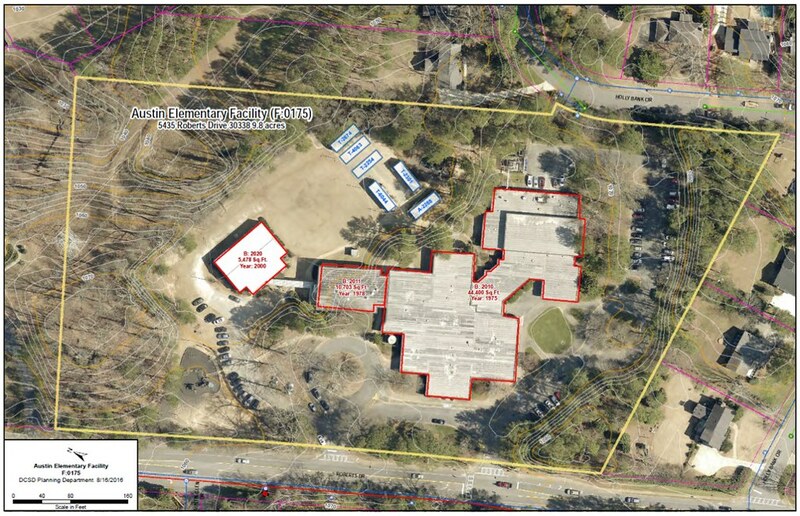 Mutually negotiated by Dunwoody and the DeKalb County BOE during the past year, the agreement details an arrangement under which the city would purchase the entire 9.8-acre property where the current Austin Elementary School is located on Roberts Drive, and a 7.9-acre portion of the existing Peachtree Charter Middle School (PCMS) on North Peachtree Road. 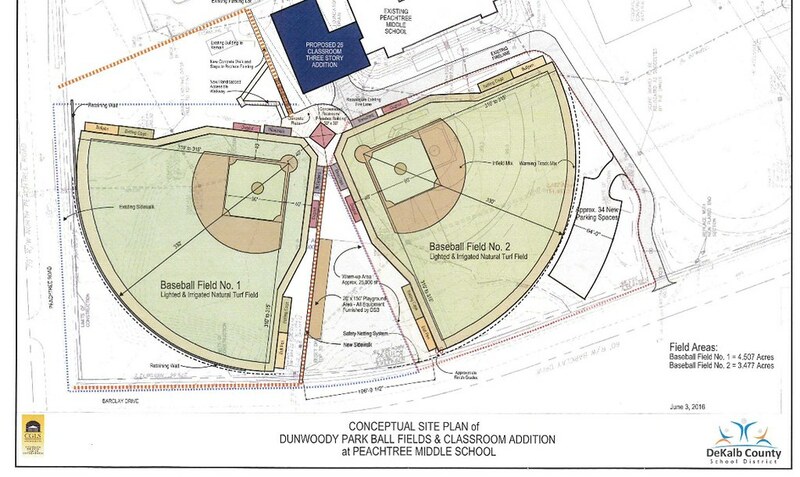 Dunwoody would also obtain shared access to a four-acre track and sports field on the PCMS property. The DCSD would purchase approximately 10.2 acres of the 27.8 acres of Dunwoody Park/Dunwoody Nature Center property on Roberts Drive for future construction of a state-of-the-art, 900-seat Austin Elementary School facility. “This is an initial agreement that will be vetted in a ‘public town hall’ type meeting where citizen input will be sought and evaluated. A public vote by the City Council will be taken after Dunwoody citizens have an opportunity to hear and comment on the agreement,” said Dunwoody Mayor Denis Shortal. “There are details within the agreement which will need to be reviewed and worked out. 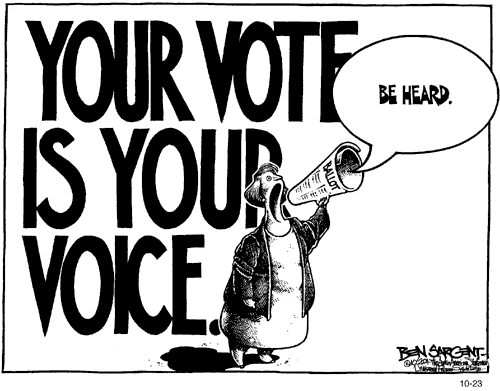 After hearing public, input the City Council will decide the best course of action." Under the agreement, two new baseball fields will be built at the newly acquired 7.98-acre site adjacent to PCMS as replacement for two baseball fields currently at Dunwoody Park. Construction will be structured and coordinated so that Austin Elementary students and families can continue to attend the current school site until the new building is completed. 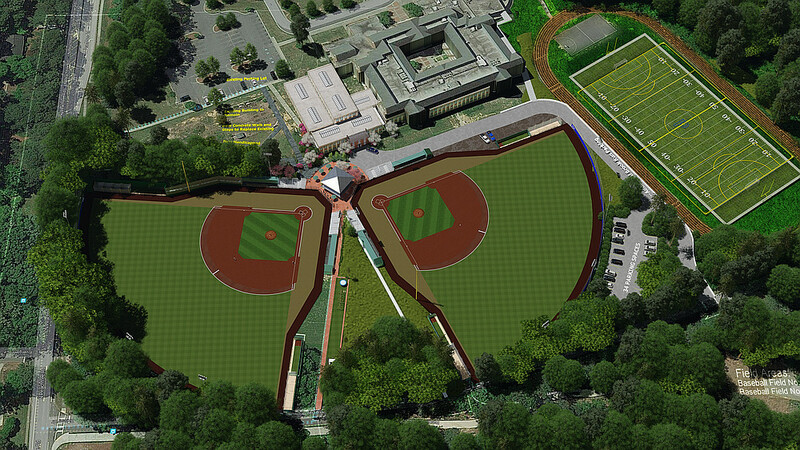 Dunwoody will maintain access to the baseball fields at one or the other site throughout construction. DeKalb County voters approved the 2012-2017 education-special purpose local option sales tax (E-SPLOST) program in November 2011 and a portion of these funds was designated for construction of a new Austin Elementary School facility. At closing, the BOE will pay Dunwoody $3.632 million. That covers the net value of the land purchases and facility use agreements including without limitation, a DCSD lease on the Austin Elementary School property while the new school is being built, construction and maintenance of two new baseball fields and facilities, and the construction and maintenance of a field house and various stormwater upgrades and irrigation system installation/ operations for the track/football field at the PCMS property. Current Austin Elementary to someday become a 9 acre park? City buys current Austin school immediately on closing and leases it back to DeKalb for three years. Austin Elementary community stays intact during construction with little or no interruption. 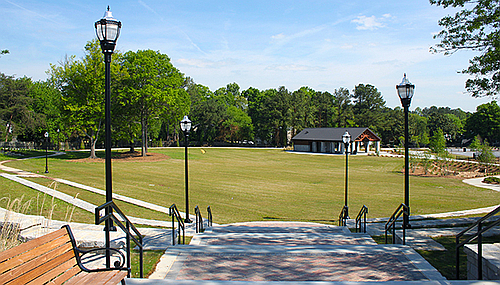 City of Dunwoody gains 9 acre park or public space in underserved corner of City. There are no plans for this property at this time - what does the community want here? City purchases park land from PCMS yet students get to enjoy improvements during day. New baseball fields are constructed and football fields will be lit. City purchases close to 8 acres of PCMS (near the corner of North Peachtree & Barclay) thereby extending Brook Run Park across Barclay. Immediately upon closing, City of Dunwoody will release a Construction RFP to build two baseball fields on those 8 acres. The new fields should be operational prior to DeKalb starting demo on Dunwoody Senior Baseball fields. The baseball facilities built by Dunwoody will be very comparable to Dunwoody Senior dimensions and the facilities will include concession stand, irrigation, lighting, batting cages, netting and I believe a restroom is also included in the city plans. The City will add lights to football field as part of the Construction RFP to maximize playing time on that space. Dunwoody has been assured that there is room for new school building construction if needed. Parking will be shared on the top near the school with ADA ramps constructed coming down the hill. New parking will be constructed behind field 2 and accessible off Barclay with more parking across Barclay in Brook Run if needed. There will be better drawings coming soon and I hope that if you have questions that you will please raise them. I have seen a rendering or two of the school over the last few months but do not have electronic copies but I am sure they will be shared soon. Dunwoody Home Tour will take place on Wednesday, October 5, 2016 from 9:30 a.m. until 3 p.m. The 44th Dunwoody Home Tour sponsored by GFWC Dunwoody Woman’s Club (www.dunwoodywomansclub.com) will take place on Wednesday, October 5, 2016 from 9:30 a.m. until 3 p.m. This year’s tour will feature four outstanding homes representing a variety of architectural styles and vintages ranging from historic to new construction. The historic home, the Mills B. Lane, Jr. summer home, was built in 1938. The house is now home to a discerning collector of paintings, sculpture, antiques and automobiles -- both full-sized and miniature -- who calls the home his art gallery. A 1978 home in the Georgian Colonial Revival style, that mainstay of Dunwoody architecture, has undergone three years of renovation including a new kitchen and a newly finished terrace level, resulting in a comfortable, classic update. Two homes in the Greek Revival style, one built in 1978 and recently renovated, the other brand-new custom construction, represent two different approaches to achieving gracious, family friendly homes within timeless, classic exteriors. This year’s tour will also feature a raffle of a handsome wooden bowl handcrafted by local artisan David Dalrymple. Raffle tickets will be sold on the tour (Nesbit Ferry Home). 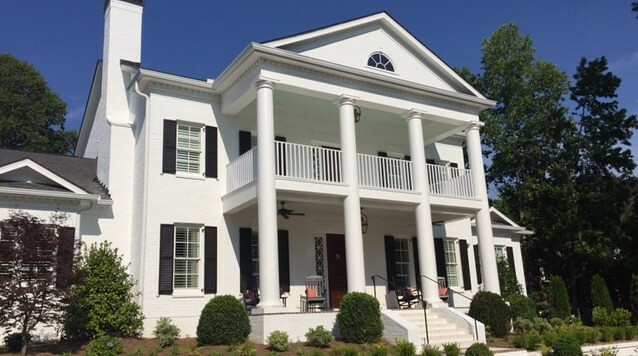 The Dunwoody Home Tour is the major fundraiser for Dunwoody Woman’s Club. All ticket proceeds are returned to the community through the Club’s charitable beneficiaries including scholarship recipients, schools, Head Start programs, families in crisis, victims of domestic violence, medically fragile children, Interfaith Outreach Home and The Lost Corner as well as libraries, cultural institutions and more than 20 other charitable entities in Dunwoody, the larger Atlanta Community and overseas. The Club was instrumental in founding Stage Door Players, the Dunwoody Library, the Dunwoody Nature Center, the July 4th Parade and a host of other community venues and events. DWC, founded in 1971, is a 501.c.3 charitable organization. Donations are tax-deductible. Home Tour Tickets $25 and $30 at the door, will go on sale on August 18 on the club’s website, dunwoodywomansclub.com. Tickets will also be available from any DWC member and at Blooms of Dunwoody (Dunwoody Village), Consigning Women and Southern Comforts Consignments (Mount Vernon Shopping Center), Face Haven (Williamsburg at Dunwoody), Harry Norman Realtors (4848 Ashford Dunwoody Road), Tryst (Orchard Park), Under the Pecan Tree (The Shops of Dunwoody). 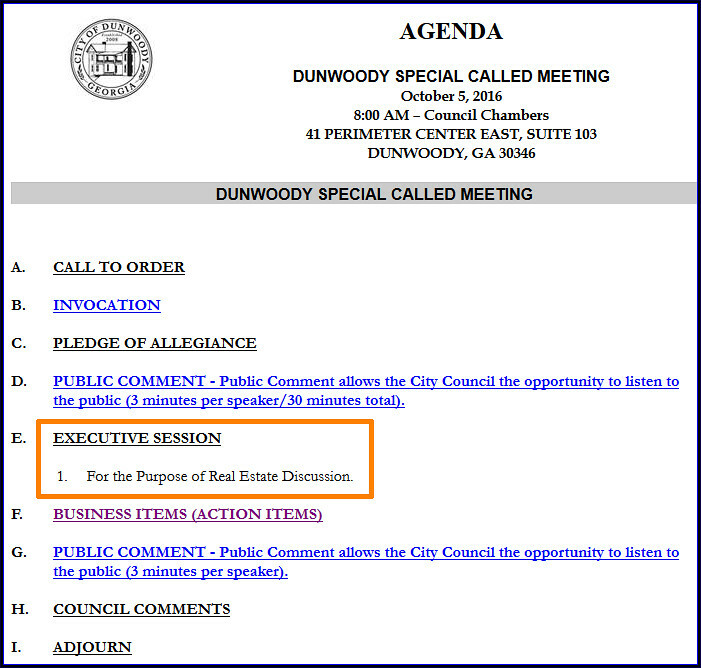 Dunwoody calls for Special Called City Council Meeting on Wednesday October 5th, 8 am for Real Estate item. The Dunwoody City Council was going to hold a special called meeting on Tuesday the 7th but that has been changed because of a holiday to now Wednesday morning at 8 am. A special called early morning City Council meeting followed by a yet to be named "Action Item" doesn't happen very often therefore I wanted to bring it to your attention in case you are interested. Agenda (same as above) & watch live on Wednesday can be found on the link. The video will break for executive session but it will restart if we present a business item immediately following. I am not allowed to say much else on an executive session item until it is publicly announced but if this meeting is about purchasing real estate, there is policy that will be followed. Policy states that "City staff will negotiate for “Letters of Intent” with land owners on properties the City Council has provided direction staff with direction on “terms and price”. City staff will make the “Letter of Intent” public on the city website and through a press release within 48 hours of the city receiving a fully executed copy of the “Letter of Intent”. City staff will publish the executed sales contract on the city website. Looking at the City meeting schedule, I see an odd "Other Public Meeting" added to the schedule for Wednesday October 12th at City Hall at 6 pm? I wonder if these things are related? If I have confused a few readers, I apologize but I need to walk the tightrope of confidentiality as a City Council member, yet as a blogger disseminate public information to have you informed of public meetings and involved on what we are doing. Long story short, everything will be fully apparent soon.